If you are a homeowner that wants to access the equity in your home, there are several choices available to you. The three main choices available are to take out a home equity loan, a home equity line of credit, or a cash-out refinance. Each of these choices for accessing the equity in your home has distinct advantages and disadvantages that must be considered when making your choice. You must also take into consideration how much equity is available in the home, how much money you need to borrow for your current situation, the interest rate of your current mortgage, and when you are planning to repay the money borrowed. Here is some information that may help you make your decision. Also known as second mortgages, home equity loans allow you to borrow a set amount of the equity in your home to be repaid within a certain amount of time at an interest rate that could be fixed or variable. Home equity loans are a lot less common today than they were before the housing crash, but a number of banks still offer them to homeowners that are interested in them. If you choose this method, make sure to compare the interest rates of several different lenders as you may be able to get a better deal than the first offer you find. Another common method of accessing the equity in a home is taking out a home equity line of credit. This line of credit is secured by your home and allows you to take out funds, up to a maximum amount, over a set period, typically called the draw period and lasting for 10 years. During the draw period, a minimum amount based on an adjustable interest rate must be paid each month towards the loan. After the draw period has ended, any amount outstanding must be repaid over another set term, usually 15 years. The interest rate for this repayment period could be fixed or variable, depending on the terms of your particular home equity line of credit. With a cash out refinance, the homeowner refinances their primary mortgage for up to 80% of the home’s value and keeps the difference in cash that can be used for any purpose the homeowner desires. You are still paying a single loan, but the interest rate or length of time for repayment may have changed. 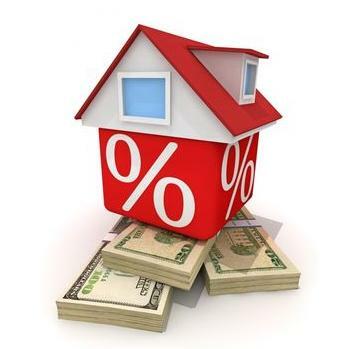 Many of the homeowners that choose a cash-out refinance often want to refinance for other reasons, such as getting a better interest rate or lowering their payments, and obtaining cash at the same time is convenient. When choosing this option, it is important to compare the interest rate, fees, and closing costs of the new loan to make sure you are not paying more than you should to refinance. What ways have you accessed equity in your home?